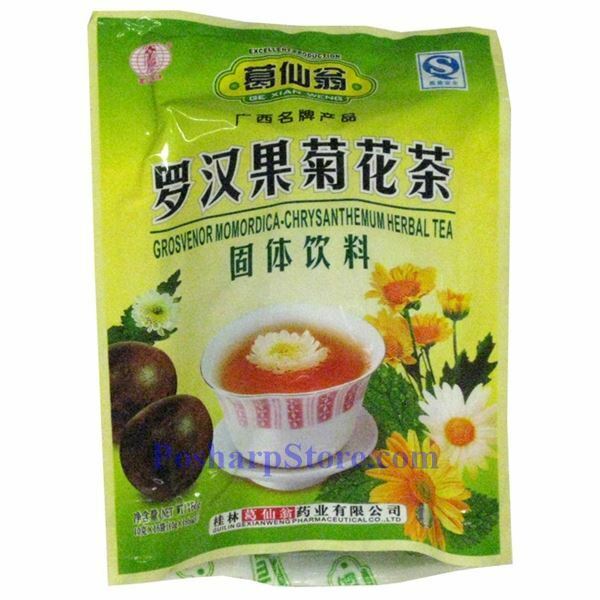 This instant herbal drink is made from grosvenor momordica (or Luo Han Guo) and chrysanthemum. Luo Han Guo is a fruit that grows in South of China. It nourishes the Lungs and respiratory system by gently soothing Lung Qi and resolving phlegm and cough. With pleasant taste, it can be used for both the early and late stages of colds. It is also wonderful for chronic cough and weak lungs.